(Holy Hill Rd.) Turn left & go 2 blocks. The art of Magic, Illusion and Sleight of hand have always fascinated me. They seem to have always been an innate part of me. I cannot seem to pin-point the first time I ever said, "I want to be a Magician". I know I was pretty young - perhaps 7 or 8. Since learning Magic tricks was so much a part of my childhood I was fortunate to have the support of my parents and grandparents. My grandparents always gave me money on my Saturday visits to their home. My grandmother and I would walk down the street to the "Moon Fun Shop" on Milwaukee's southside. It was there I purchased my treasure trove of magic tricks. I'd often perform "Living room shows" for my family complete with top hat and black cape. I envisioned myself as the next "Young Houdini!" I often had my older brothers tie me up and wait for me to escape. Then one fateful day mother caught me. She came home early and found me in my most daring of escapes - masking taped wrist to wrist, thumb to thumb and finger to finger. My older brothers, who had gotten tired of waiting for me to escape, lost interest and went outside to play. There I was alone in the house working on my escape when I heard my mother shriek, "What are you doing? Where are your brothers? What happens if the house burns down?" The rest is a blur, but I'll tell you this - we never did it again. 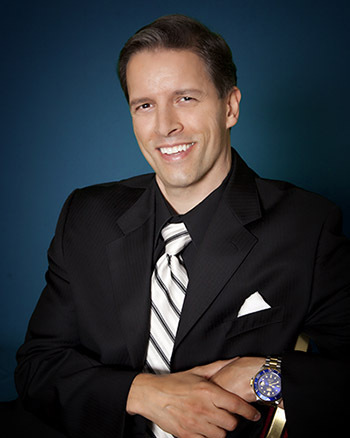 I have been interested in Magic for over 40 years and perform professionally. I have pursued a career as a Respiratory Therapist for 32 years where my gift of "sleight of hand" is used daily on my job entertaining children and adults of all ages. My wife, who is my main assistant, and I have traveled to many cities performing Corporate Shows, Stage Shows, Festivals, School and Church Outreaches. 4F Convention. The most prestigious gathering of close up magicians in the world. Features the best performers, creators and lecturers - by invitation only.